Established in 2000, the modest practice of one therapist has evolved into a source of healing for thousands of patients. 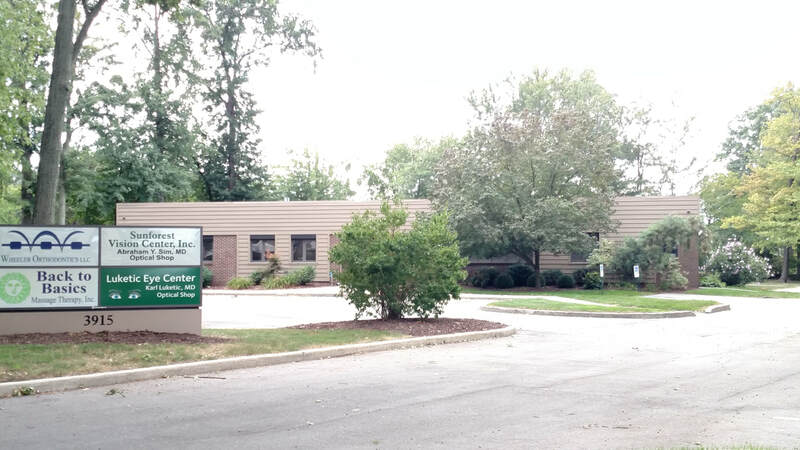 Our therapy group is conveniently located at 3915 Sunforest Court, in Toledo, Ohio. We provide advanced therapeutic massage treatments to patients of all demographics for both pain relief and relaxation. Entering Back to Basics is calming in itself. The clean and professional atmosphere sets the mood for a relaxing visit with us. Your session will be administered in one of our comfortable and private therapy rooms. All treatment areas are equipped with adjustable lighting, temperature, and sound controls, as well as a variety of aromatherapy oils and lotions to help provide the perfect relaxing atmosphere for each individual. All therapists at Back to Basics Massage Therapy, Inc. are licensed by the Ohio State Medical Board and specialize in various services. Advanced relaxation & pain relief therapy rates, ranging from 10 minute sessions up to two hours, are available. Therapy sessions are available Monday through Saturday, 8am-8pm by appointment only. "I have been a client at Back to Basics since June of 2008 and continue with monthly visits I was skeptical at first that massage therapy could give me long lasting relief for my muscle aches and daily stress. Not too long after I began, my muscle aches subsided, I had more energy and my stress level had dropped significantly. The relaxation and stress relief that I instantly receive during my monthly sessions has maintained my positive long-term results. I have found that the professional and courteous staff at Back to Basics rates second to none. My therapist Leigh is very competent at her profession. She has always treated me with professionalism and courtesy, which has made every visit extremely enjoyable and beneficial. Massage therapy has now become part of my life. Thank you Leigh and Back to Basics." "One day this summer I was at our local coffee shop complaining about all my aches and pains, when Kim came in and heard part of the conversation. She made me a proposition to let her try to improve my problems. She has not only improved, but has almost eliminated most, (not all, but MOST) of my pain. She has made it possible for me to resume some of my old activities, and has made it easier to get going on a daily basis. If it was not for her, I still would be sitting around complaining about my aches and pains. Thanks alot, Kim, for your care and willingness to help." "Dawn did a great job! Kept a very calm and comforting vibe. Felt like I woke up from a most rejuvenating and refreshing rest." "I started coming here because of sciatic pain. I no longer have the pain, but continue to come once a month for relaxation and any other aches and pain I may have." "I am very impressed, and will return to see Lisa soon. She did an excellent job! I highly recommend Back To Basics." "Back to Basics has been the very best, all natural, pain reliever and stress buster, for me, that I have ever experienced!" "In serious pain, Could not bend over, sit stand or lay down. I have herniated discs and I completely irritated them 4 days of no sleep! Michael was gentle but firm enough to get the muscles to relax! I am completely blown away with how I feel I was able to get a decent amount of sleep last night! Thank You again I did not have to take anything for pain!" "I really do feel better! Kim will work on any ache or pain and when you leave you just "feel good". Sometimes its just nice to get a massage. You feel so relaxed and our bodies need this!" " I'm very happy with the service I have received. Kim ALWAYS tries to get me in when I'm in pain. She has given me great relief for headaches and tight muscles. I would recommend everyone to see Kim." "I was in pain because of a herniated disc in my neck. After trying massage therapy at "another" business, I tried Back to Basics and was helped greatly through trigger-point therapy. I highly recommend Back to Basics!" "You made a believer out of me- I call Kim now before I see a doctor for any new "aches and pains". "Massage with Rebecca was Great!!" "I have been going to Back to Basics for the past 9 years, mainly for stress and shoulder and back pain. In all instances Kim has been able to relieve the pain and stress. I would highly recommend Back to Basics and Kim Kristof for relief of your discomforts."